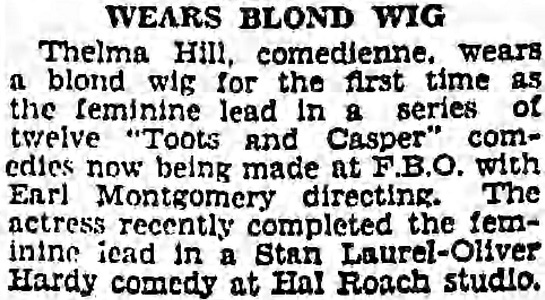 In 1928 FBO decided to make series of short films based on the comic strip Toots and Casper. 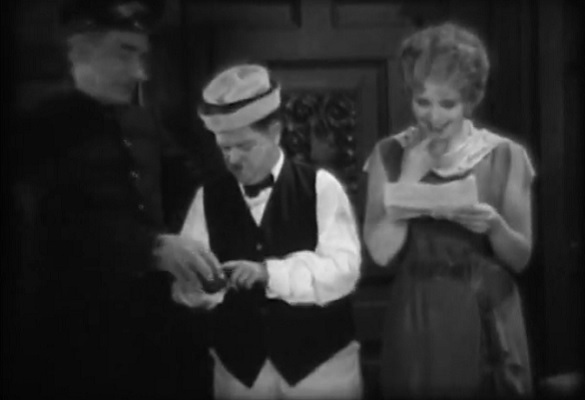 The comic created by Jimmy Murphy had been very popular since its debut in 1918. Thelma was cast as Toots, a ditzy but lovable wife and mother. 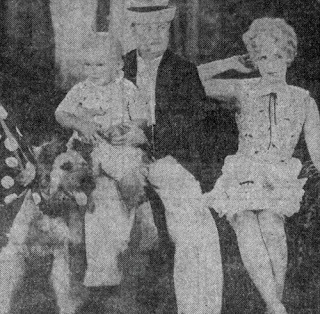 Bud Duncan played her husband Casper and child actor Cullen Johnson played their son Buttercup. The first Toots and Casper short was titled Fooling Casper. It was released on September 16, 1928. Thelma and Bud would star in eleven more Toots and Casper shorts including Big Hearted Toots, The Family Meal Ticket, and Casper's Night Out. 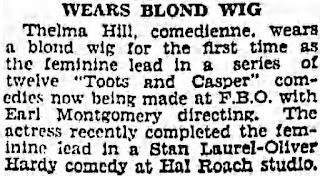 Since Toots was a blonde in the comics Thelma had to wear a blonde wig. Several of the shorts were directed by her fiance St. Elmo Boyce. The final film in the series was Don't Say Ain't released in July of 1929. Unfortunately most of the Toots and Casper movies are considered lost. As of 2019 only three shorts - Fooling Casper, Smile Buttercup Smile, and Casper's Week End - are available to watch.